EFF has joined a coalition effort, led by Asian Americans Advancing Justice (AAAJ), to oppose the federal government’s proposal to scrutinize the social media activities of Chinese visitors. Specifically, U.S. Customs and Border Protection (CBP) seeks to ask certain visa applicants from China to disclose the existence of their social media accounts and the identifiers or handles associated with those accounts. Last year, EFF opposed a similar CBP proposal concerning foreign visitors from countries that participate in the Visa Waiver Program (VWP). CBP finalized this proposal in December 2016. Although providing social media handles would be optional and CBP promises to review social media activities “in a manner consistent with the privacy settings the applicant has chosen to adopt for those platforms,” collecting this information would still pose risks to the free speech and privacy rights of foreign travelers and their American associates. Moreover, CBP has made no showing that these intrusions on digital privacy and speech will actually do anything to advance public safety. Specifically, CBP’s scrutiny of the social media activities of Chinese and VWP visitors will unmask anonymous Internet speakers, and reveal highly personal information like religious beliefs or dating preferences. CBP will scrutinize not just the online behavior of foreign visitors, but also that of the many U.S. citizens who communicate with them via social media, whether family members, friends, business associates, or other contacts. Foreign nations may retaliate and subject U.S. visitors to the same surveillance. Many people may self-censor to avoid this unwanted government scrutiny or curtail important travel to the United States. These CBP proposals are part of a larger CBP effort to invade the digital privacy of travelers. At the U.S. border, CBP agents have ordered U.S. citizens to disclose their social media accounts and identifiers. And CBP searches the phones, laptops, and other devices of tens of thousands of travelers. 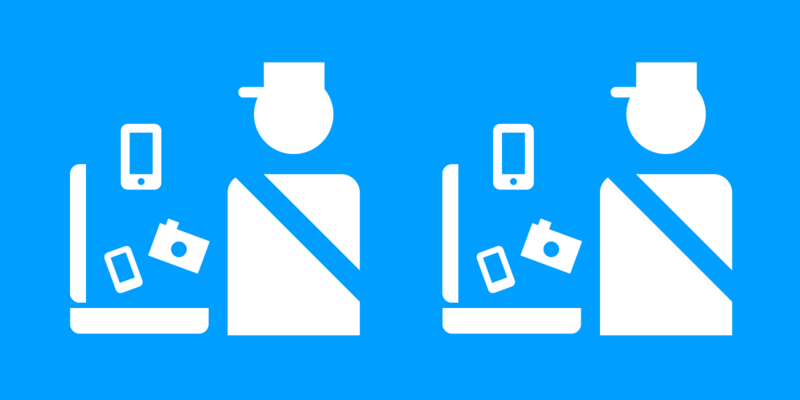 EFF is fighting back in the courts and Congress, and teaching travelers how to protect their privacy. We are proud to join AAAJ and dozens of other groups in opposing the intrusive and unnecessary social media screening of Chinese visitors.